Turmeric, a bitter tasting spice of the ginger family, grows perennially in Asia, China and India. Drugs.com reports that turmeric&rsquo;s medicinal value occurs because of its major component, curcumin. This spice has been used for centuries in Asian countries to treat digestive problems, ringworm and topically for open sores. Proponents propose that turmeric can help prevent or treat cancer. Health supplements are not tested and approved by the U.S. Food &amp; Drug Administration, and turmeric&rsquo;s benefits remain unproven through clinical trials. Add turmeric to fried rice or to any spicy rice dish. You can use turmeric in virtually any dish to make it easier to ingest than taking it straight. Include a bit of turmeric in a cup of green or black tea. Sipping this tea will stimulate the taste buds as well as provide potential health benefits, suggests the American Cancer Society. Turmeric in such teas can help stimulate you during the day or soothe you at bedtime. Add turmeric in warm milk as a relaxing beverage at night. While the spice may make the milk a little less easy on the stomach, it can help you sleep, notes the American Cancer Society. Try turmeric when cooking fish to provide a taste of Asia. Many Asian food recipes for fish include turmeric. Eat turmeric on dishes such as squash and vegetables. 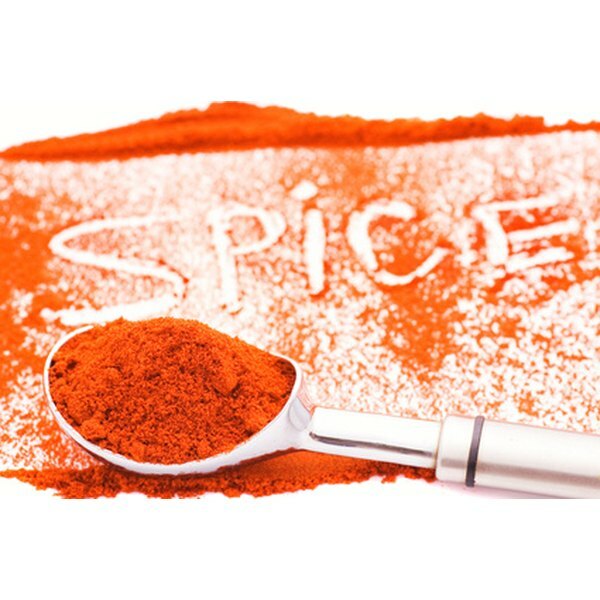 The substance will add spice to normally bland foods and potentially provide the spice&rsquo;s health benefits. Consider adding turmeric to soups, particularly of the homemade variety. Avocado soup, for example, can benefit from the taste of added turmeric. Turmeric may also be taken as a capsule. Although this spice has been known to have therapeutic properties, turmeric interferes with a number of medications. Consult your doctor before ingesting large amounts of this spice.